Which Item is Most Stolen from Vehicles in Huntington Beach? Which item is most often stolen from vehicles in Huntington Beach? Well, if you said stereo – you used to be right. But airbags have now surpassed stereos as the biggest target for theft in Huntington Beach – approximately 50,000 a year are stolen across the country. New airbags cost about $1,000, but go for $50 to $200 on the black market in Huntington Beach. Contact Beach Benz for more information about where to get your airbags checked or replaced. Use a reputable collision repair center that employs ASE certified mechanics (we can offer recommendations at Beach Benz). For more information, contact Mike at Beach Benz by calling 714 842-9816. You may know that most automotive failures in Huntington Beach California are tire related, but do you know the second most common cause for vehicle failure? Nope, it’s not teenagers. It is the coolant system. But, if you take good care of your coolant system, it will take good care of you. The right mix of water and antifreeze protects the engine against damage from freezing and overheating. Antifreeze also protects the coolant system against corrosion that could cause the system to fail. The thing to remember is this: coolant system failure is very common, but it is also very easy to prevent. Your Huntington Beach service center knows the manufacturers’ recommendations, and can tell you when the coolant needs to be changed. They can also perform a coolant system service. You will need to check your owner’s manual to make sure you use the right kind. Mixing antifreeze types or using the wrong kind of antifreeze may void the manufacturers warranty on your cooling system. If you’re not sure, ask your service technician at Beach Benz for guidance. When winter approaches in Huntington Beach California, we break out the sweaters, coats, boots and mittens. We want to be ready for winter conditions. Your vehicle needs to be ready for winter as well. The last thing you want is to get stranded out in the cold. You need your vehicle to be safe and reliable. It’s a good idea to get caught up on any neglected maintenance items anytime – but the stakes are higher in the winter. There are some specific things that we need to do in Huntington Beach California to have our vehicle ready for winter. The most obvious is having the antifreeze checked. If the antifreeze level is too low, it can’t properly protect your engine, radiator and hoses from freezing. If your car does not seem to be making enough heat to keep you warm, your antifreeze level may be low or you could have a thermostat problem. Get it checked out. If you are due for a cooling system service, now is a perfect time to have it done. In the cold months around Huntington Beach we always worry about being able to stop in time when it’s slick out. The first thing to remember is to slow down and allow yourself plenty of room to stop. Of course, you want your brakes to be working properly. A thorough brake inspection will reveal if the pads or any other parts need replacing. Check with your service consultant to see if it is time to replace your brake fluid. It accumulates water over time which really messes with your stopping power. It is a really good idea to have your battery tested. A battery’s cranking power really drops with the temperature. If your battery is weak in the fall, it may not be up to winter. There is nothing like a dead battery in a snow storm. Which leads us to an emergency kit. You should always have a blanket or something to keep you and your passengers warm if you get stranded. If you will be venturing away from civilization, pack more items such as food and water to help you survive. Keeping at least half a tank of gas is a good precaution if you get stuck and need to run the car to keep warm and it will help keep your gas lines from freezing up. Winter in Huntington Beach California always makes us think of our windshield wiper blades – usually during that first storm when they aren’t working right. That’s why it’s a really good idea to replace your blades in the fall before the winter storms. If you live where there’s a lot of snow and ice, you might want a special winter blade that resists freezing up. And be sure to have enough windshield washer fluid. The final thing to consider is your tires. Any tire can lose pressure over time – up to one pound every six or eight weeks. For every 10 degrees the temperature drops you lose another pound of pressure. So if it was 80 degrees outside when you checked your tire pressure two months ago and now it’s 40 degrees out, you could be down 5 pounds of pressure. That’s enough to be a real safety issue and it wastes gas too. You may need special winter tires as well. Your tire professional can help you find the right tire design for your expected road conditions. If you’re getting winter tires, it is always best to put them on all four wheels. If you are only getting two, have them put on the rear – even if you have a front-wheel drive or four-wheel drive vehicle. This is a very important safety measure recommended by tire manufacturers. Sliding or fish-tailing on ice and snow is a matter of not having enough traction at the rear end. That is why your newest tires should always be on the rear. Looking at getting some new tires? The choices at Garden Grove tire stores can be a little overwhelming. Suppose you have an SUV and are trying to decide between all season tires or some that are also rated for off-highway. Do you get off the payment on the outskirts of Garden Grove more than most? If so, some additional off-road traction would be nice. Let’s suppose you zip around Garden Grove in a sporty car. You may like to run a high-performance summer tire when the weather’s good. When California weather turns cold, you can put on high-performance winter tires. For the kind of driving you like to do, you want full-on performance tires. All-season tires are naturally a compromise that works well for most Garden Grove drivers, but since you have a choice, go for dedicated summer and winter tires. When it’s time for new tires, visit with a knowledgeable Beach Benz tire professional. Describe your needs and wants. He’ll come up with some selections for you to discuss. And once you settle on a type of tire, there are options for special needs: like pulling a trailer or carrying heavy loads. Tires are one of the biggest purchases for Garden Grove drivers. With so many choices, you’ll be able to get what’s best for you. Take their time. And don’t worry about what’s in stock. If you want something that isn’t here at Beach Benz, manager Mike Nott can order it. Chances are you’ll be rolling on your new tires in a couple of days. 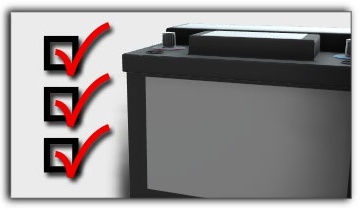 It’s important for Huntington Beach car owners to know battery basics. First, let’s talk about which is harder on a battery – hot or cold California weather. Most Fountain Valley car owners think it’s cold weather because that’s when we call on our batteries to have enough power to start a cold sedan engine. However, heat does more damage to a battery than cold. Truth is, our batteries start to die a little from day one. Keeping a full charge slows the process, which is hard with short Huntington Beach trips because the alternator doesn’t have time to fully recharge the battery from starting the engine. Huntington Beach car owners can top off the charge with a computer controlled battery charger – say, once a month in the summer and every three months during the winter. As far as how long a battery will last, statistics show that 70% have given up the ghost within four years. By that time, they aren’t capable of taking a full charge like they used to, and your sedan alternator has to work overtime to keep up. This causes your alternator to wear out early. If you’re pushing 4 to 5 years on your battery, see your friendly Beach Benz tech for a battery test to see if it’s recommended to replace it. Not only can you avoid getting stranded with a dead battery, but you’ll save unnecessary wear and tear on your sedan alternator.